When the industry moved to top drives, it was a painful transition for contractors and producers alike. 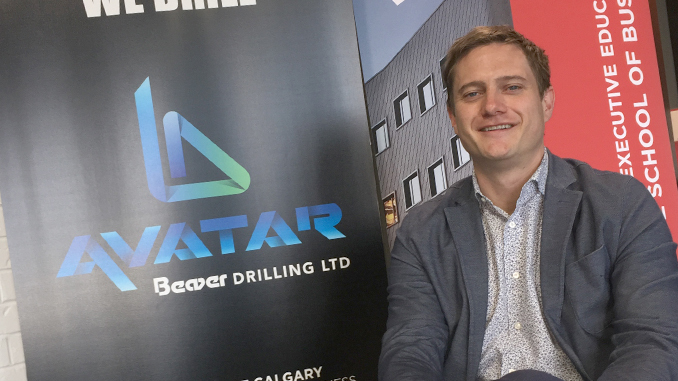 Ras Evartz who was a driller with Beaver Drilling through that time remembers it as a big change: all the rules of conventional drilling just went out the window, and getting the equipment to fit was a big challenge. Beaver Drilling is attentive to the lessons learned from the shift to top drives. Top drives were still fundamentally mechanical in nature, and the company sees changes ahead that will come at a greater speed and have impact with wider resonance. Remembering the pain points in the top drive experience proved to Kevin Krausert, Beaver Drilling President and CEO, that if rigs are going to integrate the kind of new technology based in software, the industry needs to rethink its approach to innovation. “The new efficiencies from technology are astonishing. If the drilling industry revolutionizes leadership and innovation directly on the rig site, then we have an opportunity to unleash ten times the efficiency gains,” notes Krausert. In partnership with the University of Calgary, this development program harnesses new resources and expertise in a phased approach. 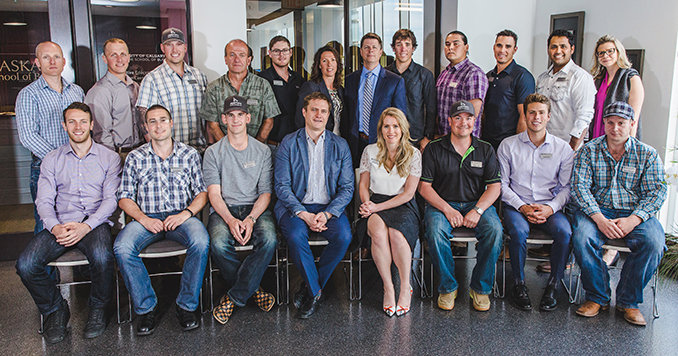 Sixteen Beaver field employees partner with UCalgary’s faculty and use real-world business research to explore solutions around integrating new technology. The outcomes of each phase of the Avatar learning journey? 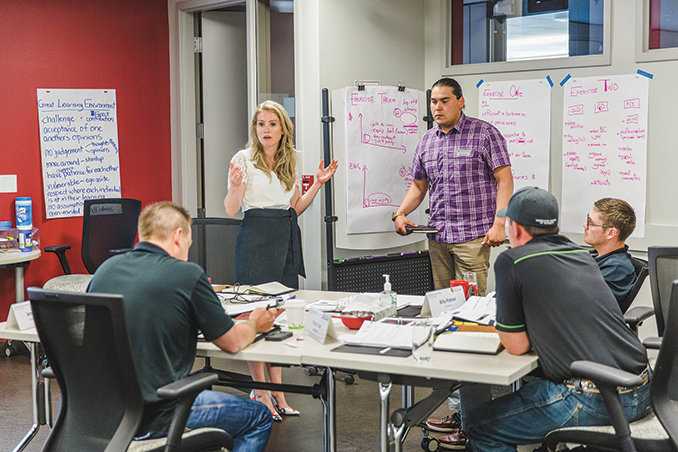 To further develop each participant’s critical and creative thinking skills to equip them to thrive in rapidly evolving drilling environments. The idea in itself is revolutionary, and that’s the sense from anyone involved in the program. The participants—who completed Phase 1 last May and begin Phase 2 in September—are proud advocates of the approach. Sunny Baraich (below, top row, 2nd from right) is among those employees. A derrickhand on Beaver Rig 6, he has a unique background to speak to adaptability. When he was 11, his family moved from India to Edmonton. Today, some 20 years later, he’s as settled in western Canada as any rig hand. He’s grateful to have learned young about the value of adapting to new environments. He believes it’s a lesson that goes beyond individuals. A diverse collection of expertise is at the table for Avatar phases. The field employees are joined by oil and gas producers, Beaver’s executive team, and the Executive Education team from the University of Calgary’s Haskayne School of Business. The group is introduced to communication and collaboration processes that guide how to explore business and leadership challenges strategically. Since each participant adds their own specialized skill set, discussions specifically avoid setting up hierarchies that might hamper outside-the-box thinking. The Avatar program focusses on the head, the heart, and the hands. 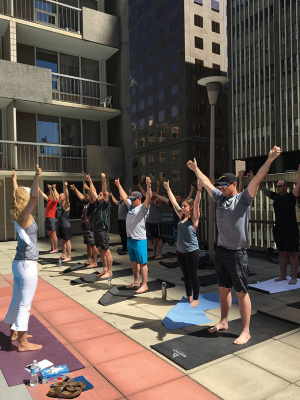 Thriving in rapidly evolving environ- ments often requires looking at situations from different perspectives— yoga, bootcamp, spin classes, and drumming circles were integrated into the Avatar experience. With Phase 2 about to launch, Evarts is looking forward to engaging more in the discussion around industry financing, a topic that’s always piqued his interest. And he’s eager to expand how the group applies new strategies, both for his crew in the near term and for the industry over the long term. Baraich, on the other hand, is interested to hear how industry decision-makers are thinking about the future. After spending 2014 and 2015 building rigs in Texas, he has direct insight on how the historically mechanical operations of the rig are transforming.